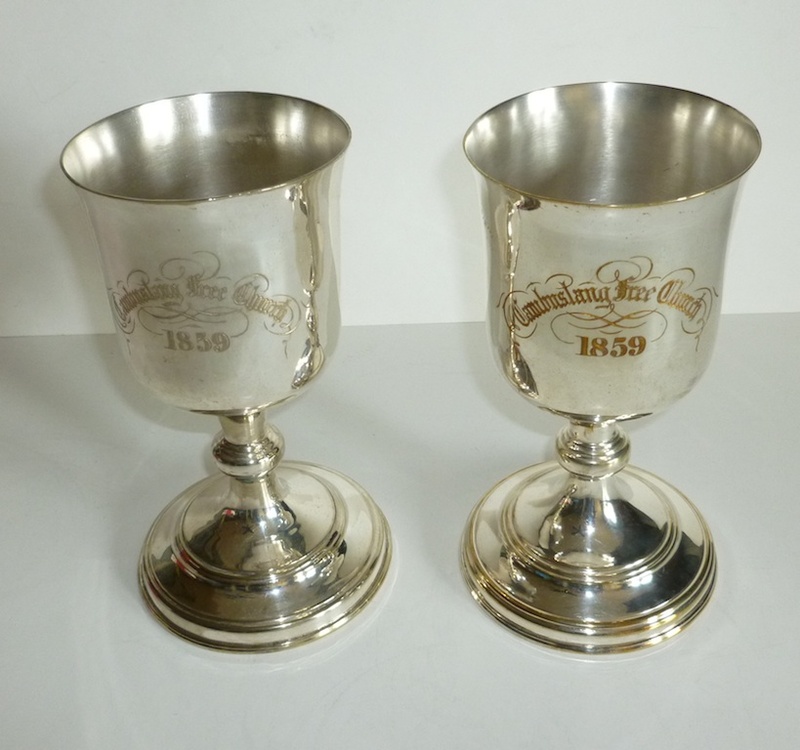 An excellent pair of plated Scottish communion chalices from Cambuslang Free Church dated 1859. Cambuslang is 4 1/2 miles south east of Glagow. 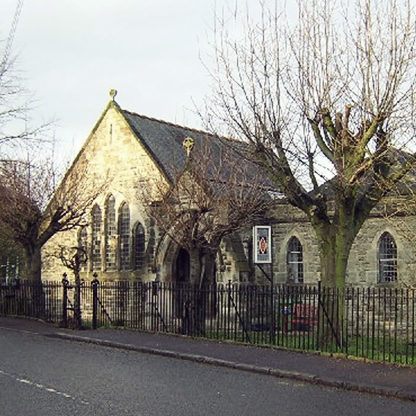 The picture is of the church as it is today. Each chalice has a top diameter of 3 7/8", a bottom diameter of 4 3/8" and a height of 7 7/8". They are in excellent condition.